Your hair is your best accessory... Color it up! We all agree that your hair can make or break the complete look. There are some good and some BAD hair days. When it comes to coloring hair then it becomes utmost important to take care. It's usually said that hair color damages hair making them rough, dry and dull. 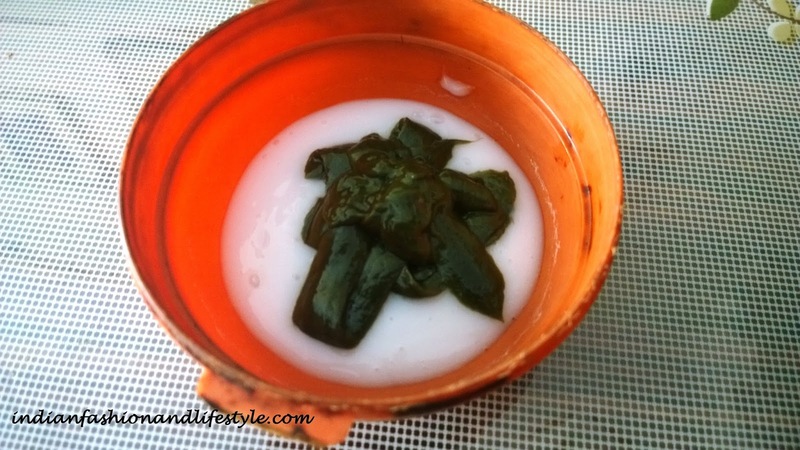 Today I will be talking about the hair color which will not only give great color and texture to your hair but also nourish it with goodness of coconut. 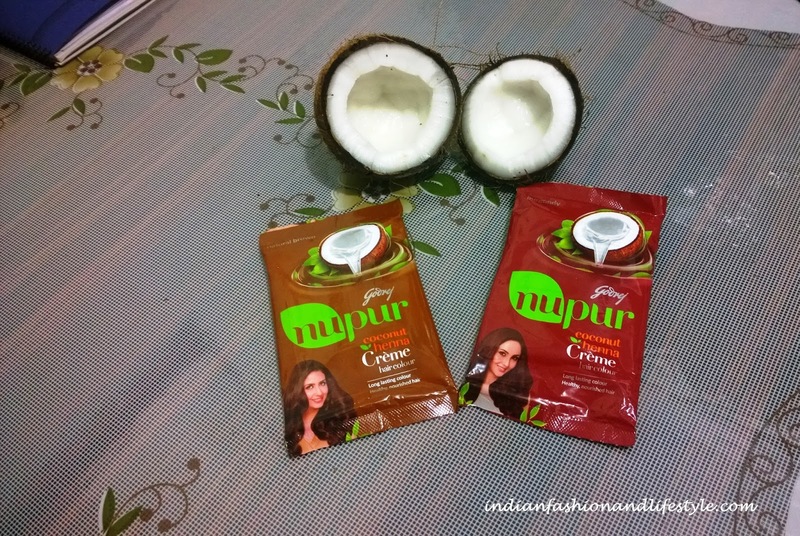 I will be talking about Godrej Nupur coconut henna hair crème. Some time back my friend suggested me this product and I could not wait to try it. My hair is dry and dull, so after hair color I have to nourish my hair properly which makes the color wash off my hair sooner. But results with Nupur Coconut Henna Hair crème are amazing. Starting with the packaging of the product, it comes in a plastic outer packaging which is of same color as the contents. It has two sachets inside one is developer and other is color. I like the smell of the products as it is not of ammonia but of coconut. 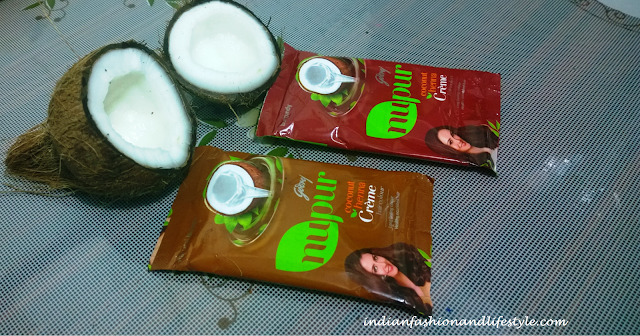 When ever I used to apply hair color on my hair I had a feeling of nausea and uneasiness because of ammonia but Godrej Nupur is a no ammonia hair color and it has a pleasant fragrance which is big thumbs up. Application of the product is easy as you have to just take a bowl and mix color and developer in it. 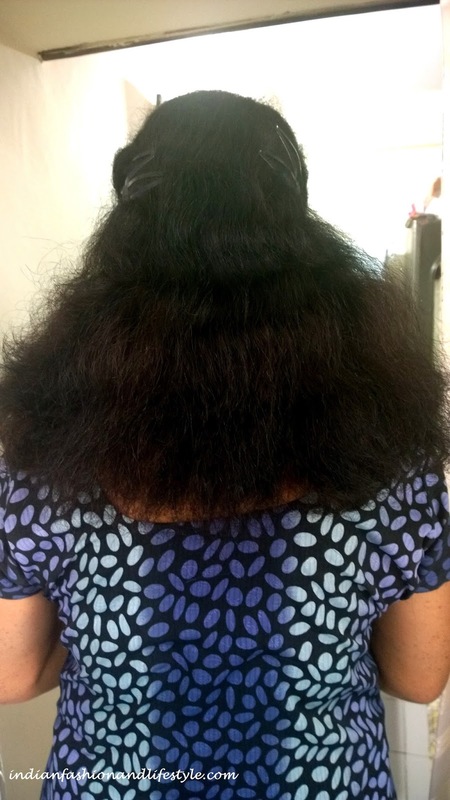 Now apply on your hair and leave it for 30 minutes (you can watch daily soap episode by that time). After 30 minutes wash your hair. Talking about the quantity I find it pretty decent but as I have dense hairs I used two product sachets. Results after hair wash and proper drying are great. I like the color and texture of my hair and the best part is my hair is not dry instead it is soft and shiny. My hair is dry and dull naturally so I have to oil it properly all the time. Using hair color usually makes it even more dry. 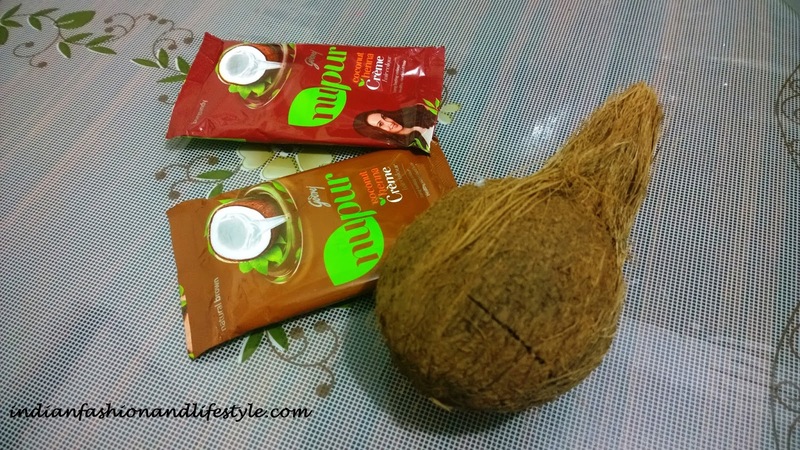 But after using Godrej Nupur Coconut Henna Crème I find it smoother and softer. I am loving the product. The product as of now comes in four colors burgundy, black, dark brown and natural brown. 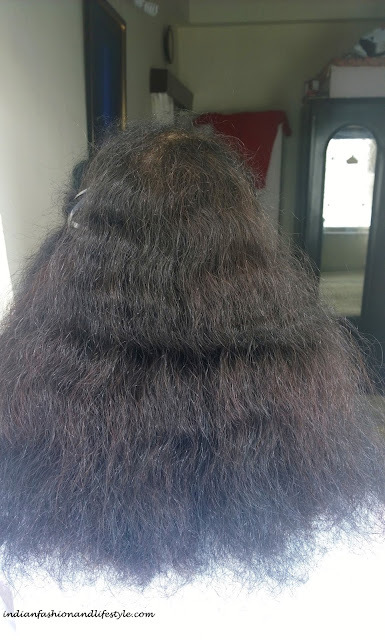 I have used dark brown on my hair and natural brown on my mother's hair. *leaves hair soft and shiny. *I wish the quantity would have been more. You can try this product it's absolute value for money. It gives great results and I am going to use it again.